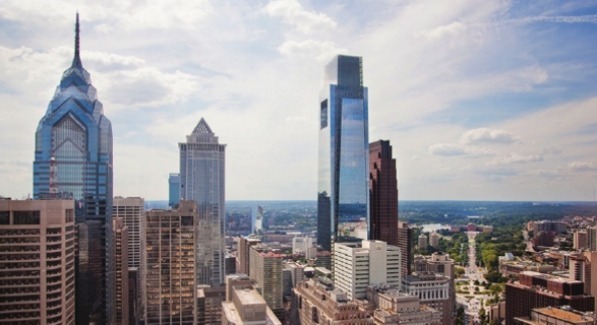 Indego is Philadelphia’s newest public transportation system. 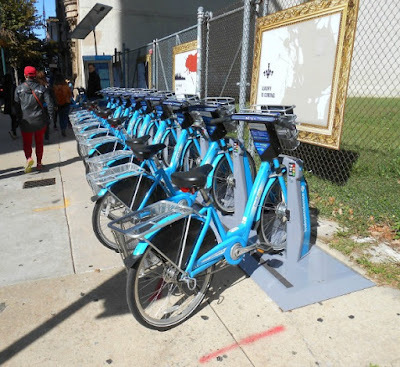 With over 600 self-service bikes and 60 stations, Indego offers round-the-clock access to public transportation. Bikes are available at any stations and do not require reservations – become a member or purchase a pass with your credit card, select your bike and ride. The bike is a smooth and durable 3-speed, built for comfort and safety, with an easily adjustable seat and front and rear lights. When you reach your destination, just dock your bike at the nearest station to complete your trip. Use the station map to see-real time bike and dock availability, or download the B-Cycle app. Get a bike, go for a ride, give it back. It’s easy – just like riding a bike. My friend, Rebekah, and I were really nervous to hop on a bike. It’s been at least 15 years since either of us rode a bike, and when we heard that we would be sharing the road with motor-vehicles, our anxiety skyrocketed. 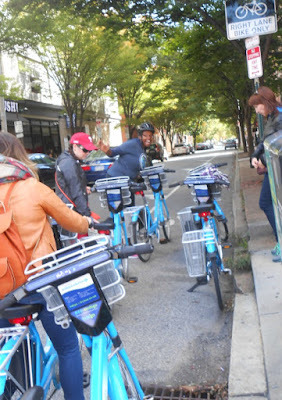 Out of all the fun things we’ve done during our weekend trip to Philadelphia, Ride Indego was Rebekah’s favorite. It was a lot of fun once we got the hang of it. It was the perfect day to ride a bike! 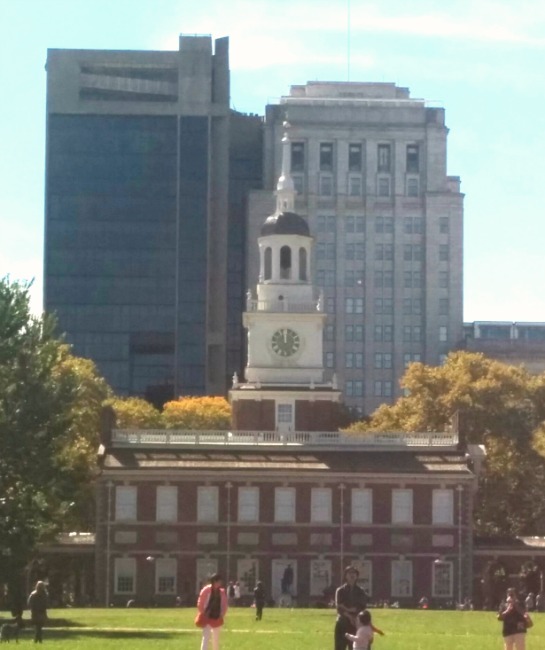 We rode all over Philadelphia and even stopped for a rest at Independence Hall. The best thing about Ride Indego is seeing other residents/visitors using the program instead of using a car to get from point A to point B. Do you live in Philadelphia? Do you wish you owned a bike to get around the bustling streets? Do you ever feel like just taking a bike ride around the city? If you answered ‘yes’ to any of these questions, then a membership may be the perfect solution for you. Ride Indego has two membership options available: 30-day membership for $15 or an annual membership for $10. Not interested in becoming a member? Not to worry; Indego is $4 per half-hour. Overall, I really enjoyed having the opportunity to ride a bike around Philadelphia. It was very smooth and peaceful and a GREAT workout. So the next time you plan a trip to Philadelphia, make sure you give Ride Indego a try. To learn more about Ride Indgeo please visit www.rideindego.com. 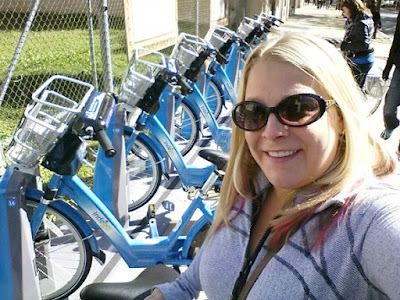 Disclosure: Sara Miller a guest reviewer for the Pennsylvania & Beyond Travel Blog was given complimentary access to Indego Bikes during her weekend trip to Philadelphia. No monetary compensation was received.